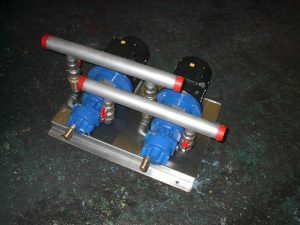 Self priming pumps are ideal for diesel fuel pump sets. Please see flow rates and data below. 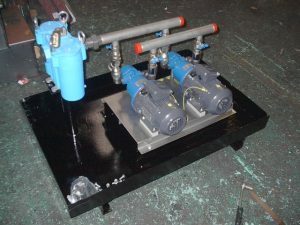 Geared pumps are predominately used when there is a large head pressure, for example to pump fuel up a tall riser within a skyscraper to the generators on the roof of the building. 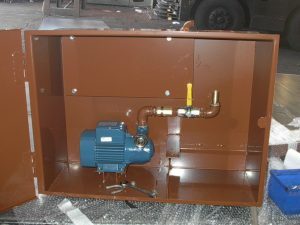 Our pumps can pump multiple fluids including diesel fuel. Please see flow rates below. 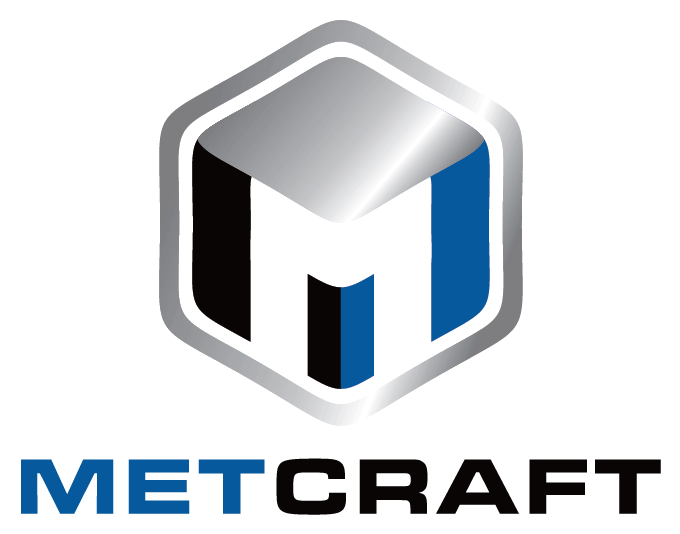 The Metcraft Twin Pump Controller is a microprocessor-controlled, duty/standby/assist control panel for use with twin pump sets transferring from a bulk to a day tank, incorporating tank level controls, bund/seal leakage detection, BMS and fire system interface, using an innovative modular construction. 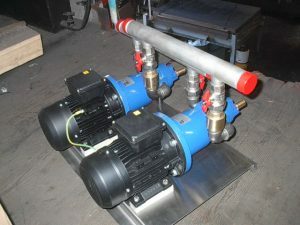 Automatic pump changeover with alternate starting sequence. Day tank level controls with high and low level alarms, giving local LED and sounder indication and a remote alarm signal. Standard voltage 240/1/50 (415/3/50 or 110/1/50 available). 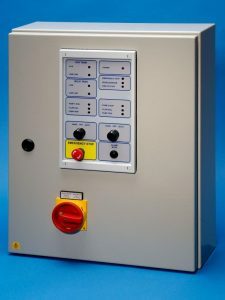 Optional extras include extra volt-free contacts for external equipment, internal RCDs interlocked with pump changeover and an alarm in the event of a pump failure. For critical systems, a remote dialler can be fitted which can send a text message to a mobile phone anywhere in world!